These are the reviews for Campion Cottage. There are 34 reviews. Great little cottage, equipped to exceptional standard, perfect for a short break. The house is lovely, clean, tasteful, well equipped, spacious and more. Great for exploring the Cotswolds and for lovely hikes. We had such a good time! Best house we ever rented! The cottage was more than perfect abd we loved the Village and Village shop, the hikes, the wildlife and all the beautiful villages nearby! The Cottage was great, in a great location to an area we had never visited before and it was so easy to see so many different places from there. Lovely warm place and local facilities were good. I couldn't fault anything.It was wonderful. First-rate cottage in a very friendly village, just off the main tourist area but very convenient for both the Cotswolds and Stratford. This is one of the nicest and best equipped cottages we have ever been in. The cottage is a blend of old-world charm and modern convenience which has been carried out very tastefully and successfully. It has a lovely little outside sitting area with a gas barbecue. There is good off-road parking for a small car The village itself is pleasant, with two pubs serving food, a shop with a small tearoom, and a petrol station. a lovely stay for my husband's birthday. everything was as expected and more! A very cosy and comfortable cottage. Cottage was extremely comfortable and well equipped. The quality of furnishings and equipment very high. Nice welcome pack. The owner was really helpful when we left a bag of laundry by mistake! The cottage was cosy and adorable and I was very sad to leave! There were lovely walks nearby. The owner was really helpful. We booked this direct with the owner as an escape for myself my friend and her young Daughter and can honestly say it is beautiful in every way!it is well designed, modern inside with a picturesque outside and everything has been thought of (even the prompts and guides were great)!Campion felt so comfortable that I felt it was mine and now look forward to returning at some point -even in winter I imagine it being snug and cosy!Would definitely recommend here and the surrounding area as a place for chilling (and sharing the odd vino with the pub opposite).Camion owner was very helpful and prompt in communicating and the welcome pack was a pleasant and much used surprise.Only recommendations would be to use the bbq as it's well worth it...take note of comments about village shop (opening hours and stock)...and take oxygen when WALKING up to broadway tower from broadway village!! We had a really lovely stay in Campion Cottage. It was situated in the middle of our desired location, giving easy access to explore the Cotswolds. The tranquil setting and the bus stop nearby helped to make this the ideal setting. Everything we needed was there! Almost a last minute decision we stumbled upon Campion Cottage. We had a perfect break. The cottage is warm, cosy and immaculately decorated throughout. Comfortable beds with the perfect combination of hard and soft pillows. Everything was perfect.....even down to the snow falling on Saturday morning. A truly 5*+ cottage in a charming village. Cannot wait to revisit. Campion cottage is beautiful, it really felt like a home from home. We couldn't fault anything and would've loved to have stayed longer. We'll definitely be back for another stay. Perfect little cottage in a lovely location. An enjoyable week spent relaxing and viewing the Cotswolds and will definitely recommend Campion Cottage. The cottage was amazing; it had everything that we could possibly need! It is situated in a very quiet location in the beautiful Cotswolds. It was our first visit to the area and certainly we made a good choice with both the location and the cottage. For people looking to experience the impossibly beautiful villages and countryside of the Cotswolds, Campion Cottage is the perfect place to make a base. The cottage itself is roomy, beautifully decorated and well equipped for self-catering. Located in the small and pretty village of Willersey, it has on and off-site parking and a lovely outside courtyard for when the sun is shining. It is very close to the villages of Broadway and Chipping Campden, which are regarded as two of the most appealing villages in the Cotswolds. There are fantastic walks in the area and the Ordnance Map provided in the cottage was invaluable. After a week at Campion Cottage we were reluctant to leave and would love to return some time in the future. We loved the cottage, it was a great holiday home, we could not have wanted for more. In a great location, can't wait to book again. A homely, cosy cottage in a beautiful village with a shop and two pubs close by. Central for touring and walking. Had a wonderful stay in campion cottage. Was fantastic. The cottage was the best holiday cottage I have stayed in, well equipped, warm, clean and beautifully decorated. The location is great with great walks and two local pubs. The bell had lovely food and showed the football when we asked. I can't wait to go back to campion cottage. "This was a wonderful little cottage in a very beautiful village in the Cotswolds." A fabulous little cottage which was well equipped, spotlessly clean and a cosy 'home from home'. The cottage is very well situated for Warwickshire attractions. We would thoroughly recommend to couples and families alike. We had a lovely stay at Campion Cottage and would thoroughly recommend to anyone wanting to visit the area It's spotlessly clean, well equipped and a real home from home. A very well equipped cottage which was very comfortable and made the stay most enjoyable. The local pub was excellent for meals and also very welcoming. Excellent property in a lovely location. The cottage was beautifully decorated with excellent contents throughout. It was very comfortable, cosy and suited our party perfectly. 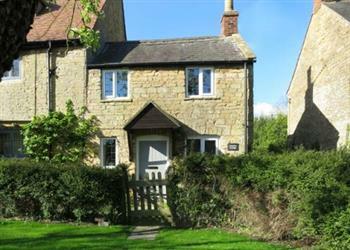 Set in a lovely village, great towns nearby and some excellent walks. The owners were very friendly and replied very promptly to emails. A great stay and would definitely recommend. There was nothing we could fault about the cottage. The village of Willersey, in which the cottage is situated, is beautiful with walks from nearby and two good pub/restaurants. Would thoroughly recommend to anybody and intend to return ourselves. A beautiful stylish cottage, it was well equipped and well situated for exploring local area. We loved the Cottage, it was well situated and well equipped. I stayed there with my 85 year old father and the Cottage far exceeded our expectations. A lovely Cottage. It was well placed and furnished with obvious care, attention to detail and no expense spared. Ideal for the two of us. The pub across the road was really good and Broadway was just 5 minutes in the car. Even the weather was kind to us! The cottage was in an excellent location within a beautiful village which had good facilities. The cottage was just perfect. Everything you could possibly need. It was spotlessly clean and beautifully decorated/furnished. There was a lovely welcome pack which was very thoughtful of the owner. We love the Cotswolds this was our 2nd week in the area this year. We were lucky with the weather which is always a bonus when being on holiday in England. So many places to visit and we enjoyed a lot of tea and cake! We liked the stylish and comfortable furnishings, the newness of everything and it was in a good location, in a quiet village with a nearby park for our son. Beautiful countryside. Immaculately presented cottage with a wonderful courtyard garden. 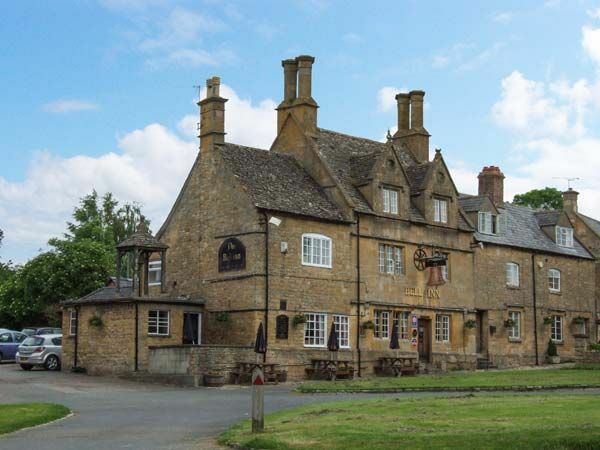 Well positioned in a small village with two pubs and very close to other well known areas such as Chipping Camden and Broadway. Everything you need is in the cottage for a comfortable stay. If you're looking for other cottages around Campion Cottage, we've got some cottages below which may take your liking. There are 65 cottages within 5 miles of Campion Cottage - and they have reviews too.